The Oro Wedding Ring is distinctively styled with a combination of Black Zirconium wrapped around an inner sleeve of 18ct Yellow Gold. 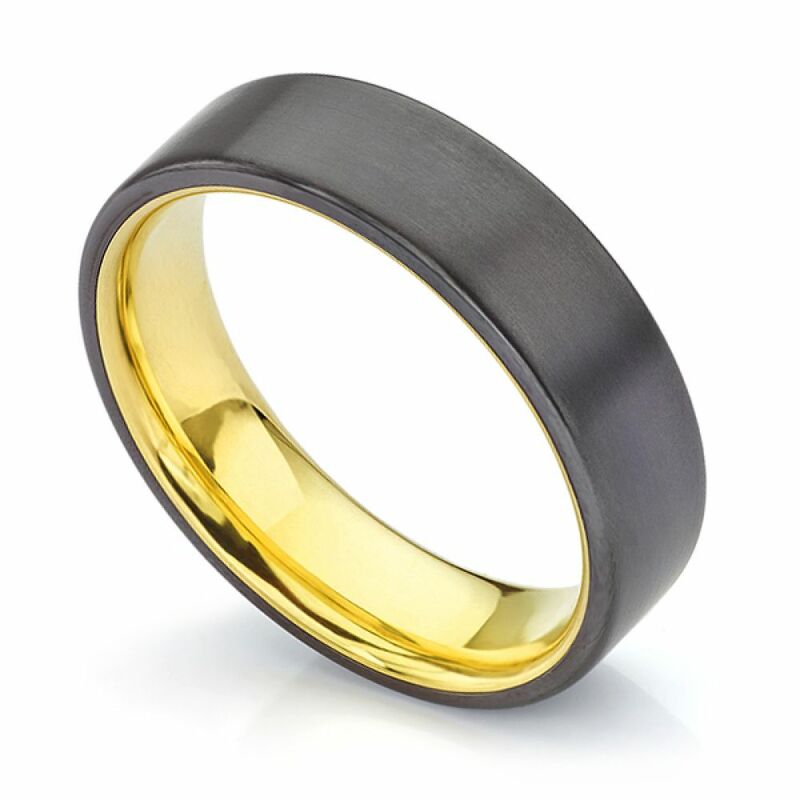 This unique ring design combines the luxurious feel of Gold with the modern sophistication of black satin Zirconium. Crafted with a flat court profile, the ring is crafted to your exact size in a 6mm width. The outer black sheen hides the golden inner surface which glides effortlessly onto the finger with an inner court shaped comfort fit. Please allow 2-3 weeks for this design to be created before being hand delivered by courier. All commissions are beautifully presented within bespoke Serendipity packaging for that extra touch of luxury.